Think about all the memories you had about the Mitsubishi Evolution. Now, erase them. That’s essentially what Mitsubishi is having you do as they rolled out a flagship high-performance vehicle concept with a very familiar name at the 45th Tokyo Motor Show 2017. 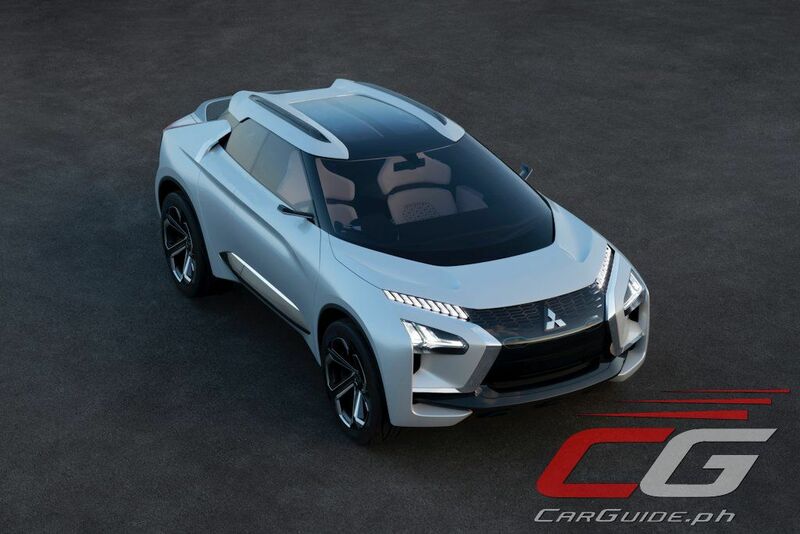 Celebrating a new global tagline, “Drive Your Ambition”, Mitsubishi is showing off that embodiment in the e-EVOLUTION Concept. 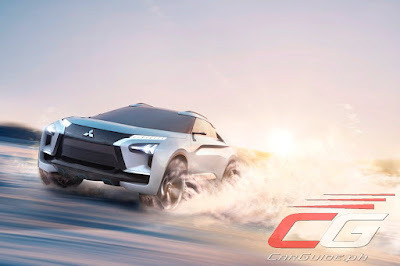 Illustrating the strategic direction of Mitsubishi, the e-EVOLUTION Concept incorporates three brand pillars: SUV, EV, and new systems for a connected mobility customer experience. Adopting a new design philosophy called “Robust & Ingenious” the e-EVOLUTION Concept is supposed to be sincere, tough, and functional. It’s also clever, resourceful, style-setting, and technologically advanced. Unfortunately, it also takes some getting used to. Compared to other concept cars shown at the show, it’s quite busy. It’s got the Dynamic Shield front-end but now shielded under glass and accentuated by blue lines. There are also large air intakes located under the headlights and even jet tailfins because, why not? The e-EVOLUTION Concept features a sharply slated windshield and short overhangs as well as high ground clearance and tapered hips—design details made possible because of the unique packaging requirements of an EV drivetrain. It’s best looked at the from the back with a large hexagonal shape that draws inspiration from rear-mounted spare tire covers. Unbound by a traditional drivetrain, the e-EVOLUTION Concept uses a floating instrument panel and a horizontally laid out cabin. It has a large flat screen that runs the entire expanse of the dashboard showing pertinent information as well as smaller screens that project images captured by the front and rear cameras. This creates a 360-degree visibility similar to that of a jet fighter. It’s powered by high-torque, high-performance electric motors fed by a high-capacity battery system. The battery is located under the middle section of the e-EVOLUTION Concept providing better center of gravity. For exceptional driving performance, it uses a triple-motor 4WD system. A single motor drives the front wheels while a new Dual Motor Active Yaw Control (AYC) system couples the two rear motors through a torque-vectoring AYC unit. The brakes move from typical hydraulic systems to electric calipers. It even comes with an Artificial Intelligence system that augments the driver’s capabilities. An array of sensors instantly reads changes to road and traffic conditions as well as the driver’s intent. It then seamlessly coordinates driver’s intent with vehicle performance making everyone a better driver. In fact, it’s got a special coaching function to transfer knowledge to the driver via a training program. 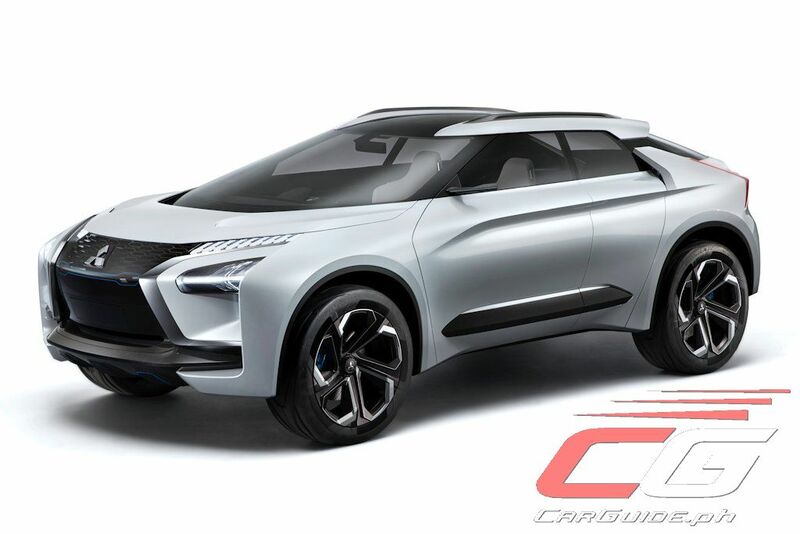 The announcement of the EVOLUTION nameplate as an all-electric crossover may sound like a bummer (especially since Subaru is charging on with a turbocharged sedan in the VIZIV Performance Concept), but Mitsubishi understands that this new corporate strategy is important to its survival.